Who's king of the world now, Leo? Two words: Kate Winslet! 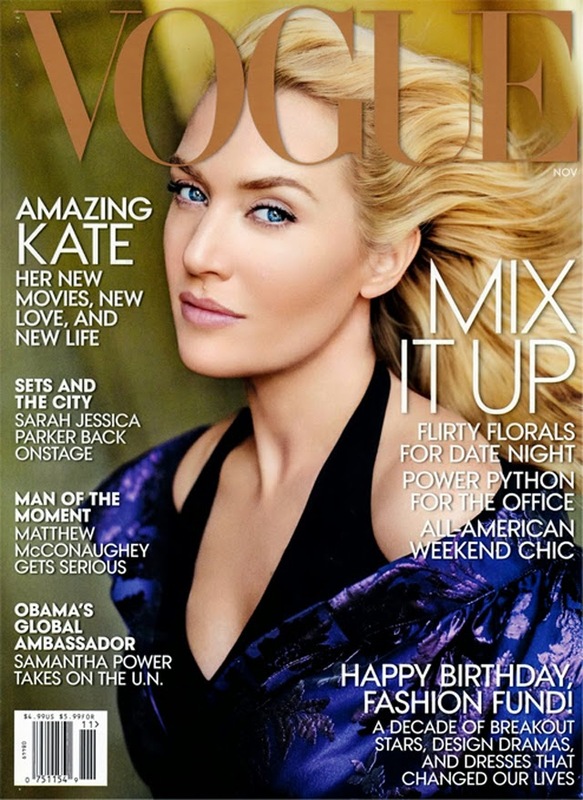 The actress covers American Vogue for November 2013 looking as if she hasn't aged a day since her Titanic days. Honestly, the skin, the hair, those sparking baby blues... have you ever seen Kate Winslet look so good? Mario Testino seems to have captured Ms. Winslet drinking from a fountain of youth. The "Amazing Kate" indeed.